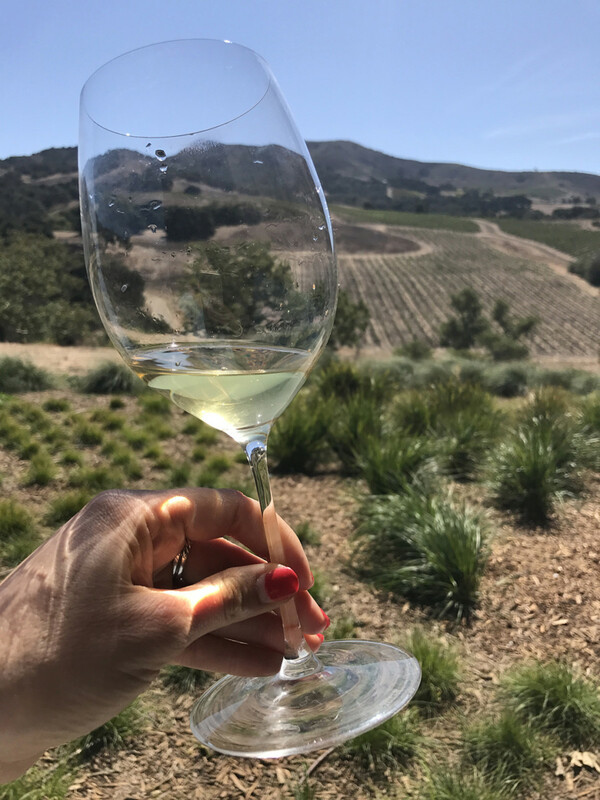 Santa Barbara County may not be as well known as Napa or Sonoma to Northern California folks, however, it is a destination I suggest you get to know and spend some time exploring. 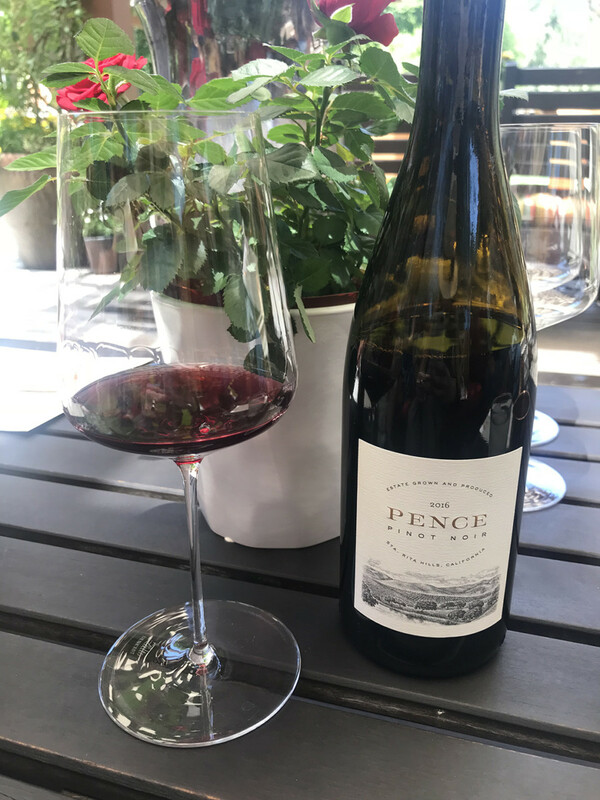 For us Pinot Noir and Chardonnay addicts (yes, that is a fair way to describe my love for these Burgundian varietals), Sta. 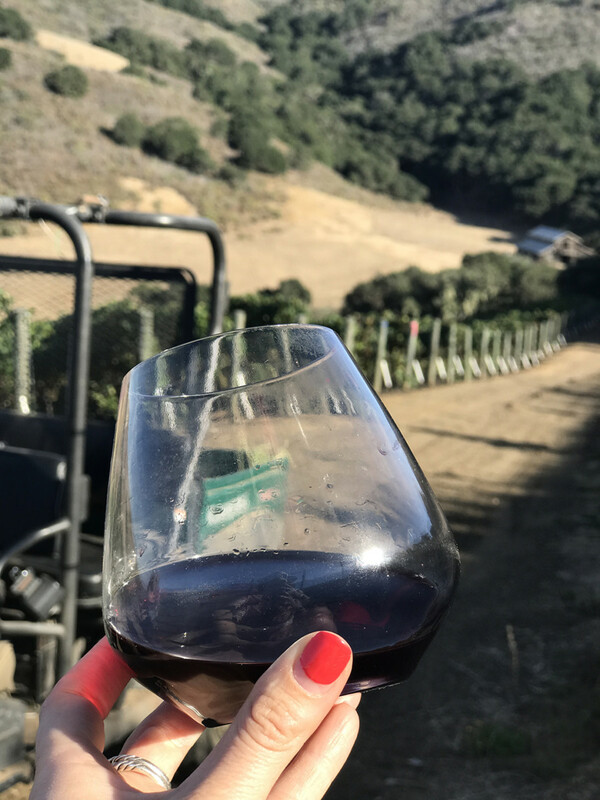 Rita Hills is one of the AVA’s in Santa Barbara and is making some of the best, most flavorful, adored wines. After numerous trips to the area, I am beginning to feel like a local and quite the expert, so I wanted to share my list of must see Sta. 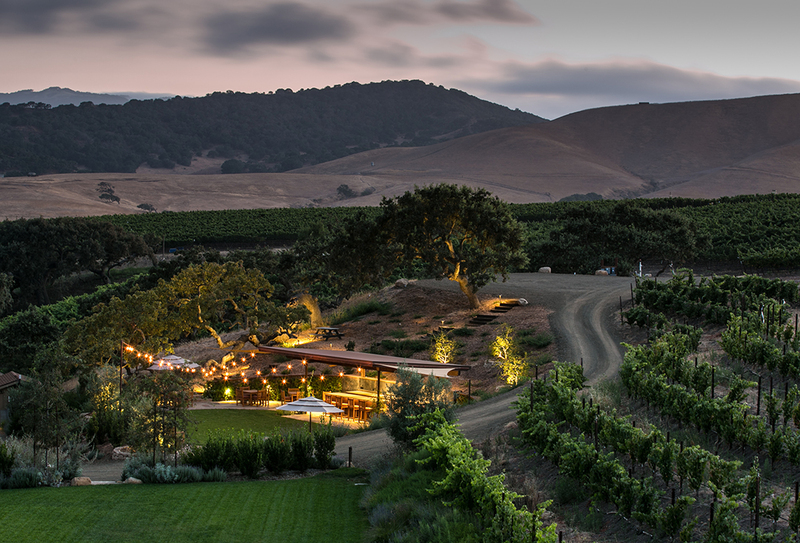 Rita Hills Wineries. Read more below! The Sta. 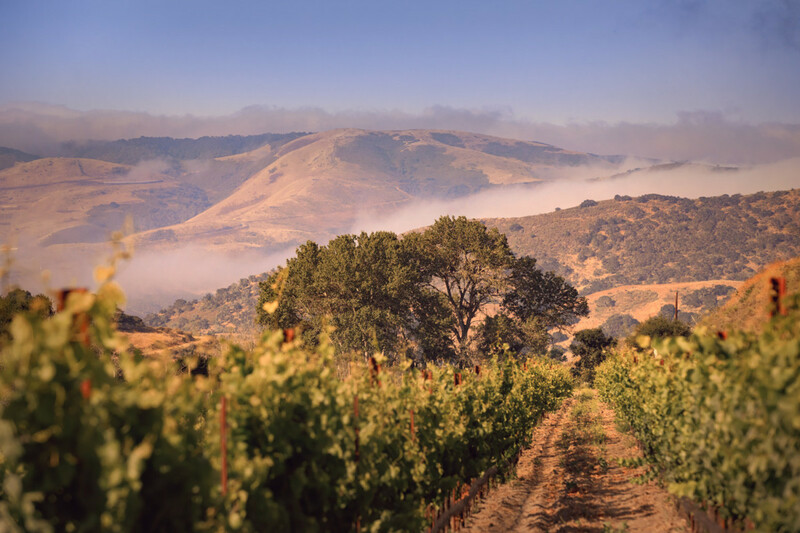 Rita Hills AVA status was granted in 2001 by the Alcohol, Tobacco, and Firearms Regulation Division. One of the newest addition to this best of Sta. 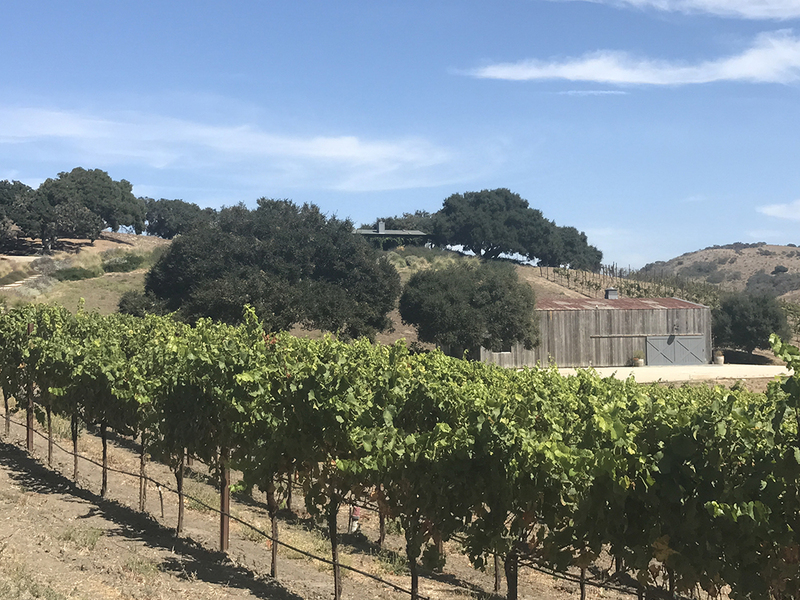 Rita Hills Winery list is Pence Vineyards & Winery. I visited Spring of 2018 and fell in love. 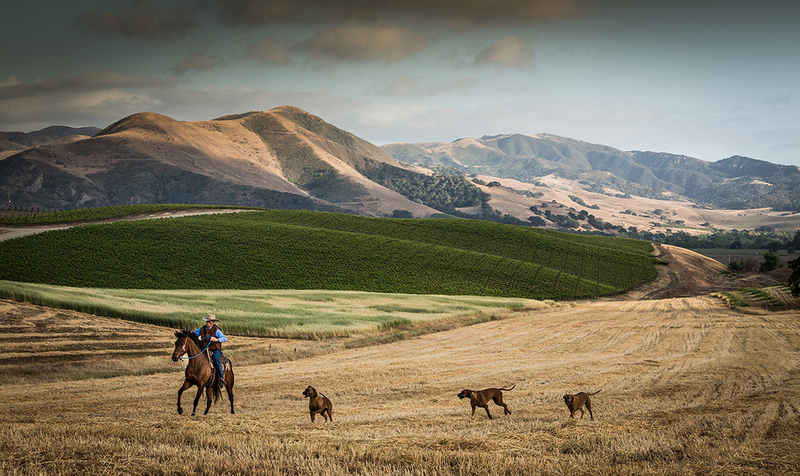 It’s really hard not to with stunning wines, a beautiful winery with endless hills of rolling vineyards, as well as horses and other farm life. 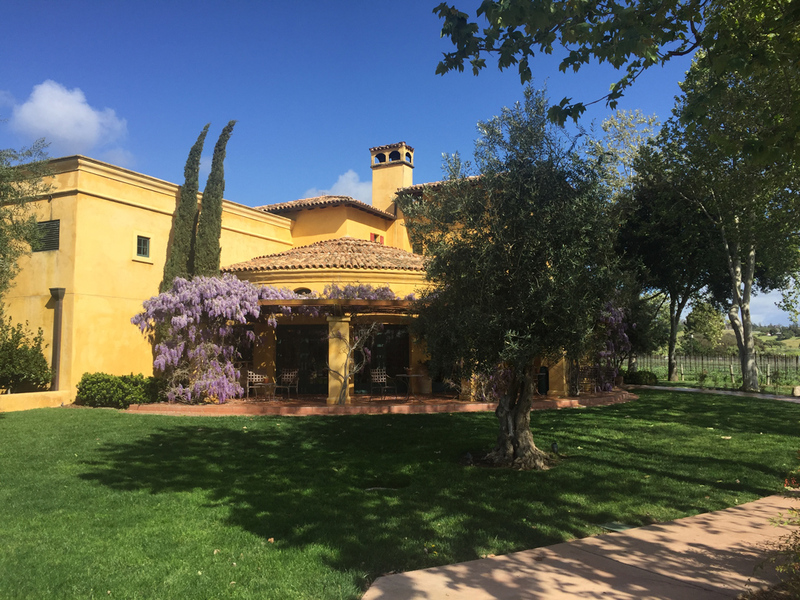 This is such a magical experience whether you visit in their casual tastingroom (they’re building a new larger winery at the moment) or in the vineyards in their amazing seated outside tasting areas you can’t go wrong. 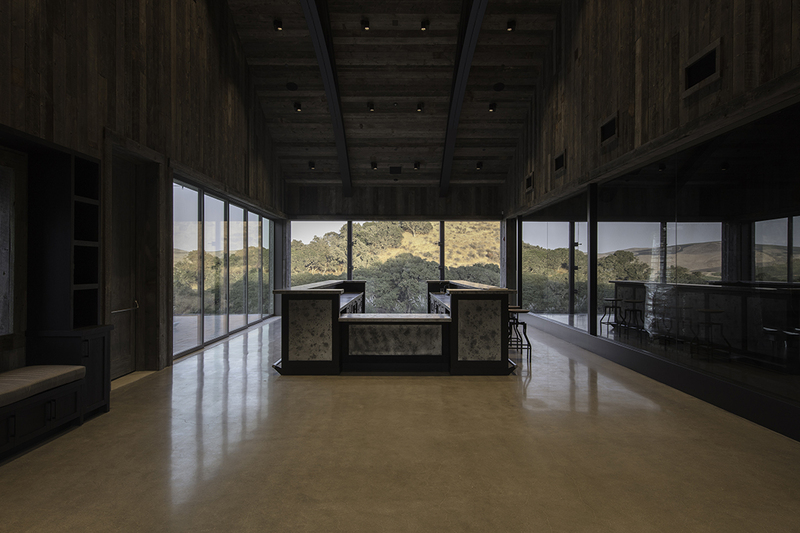 See more of this stunning Winery below and read my full Pence Vineyards & Winery post here. 1909 CA-246, Buellton, CA 93427. 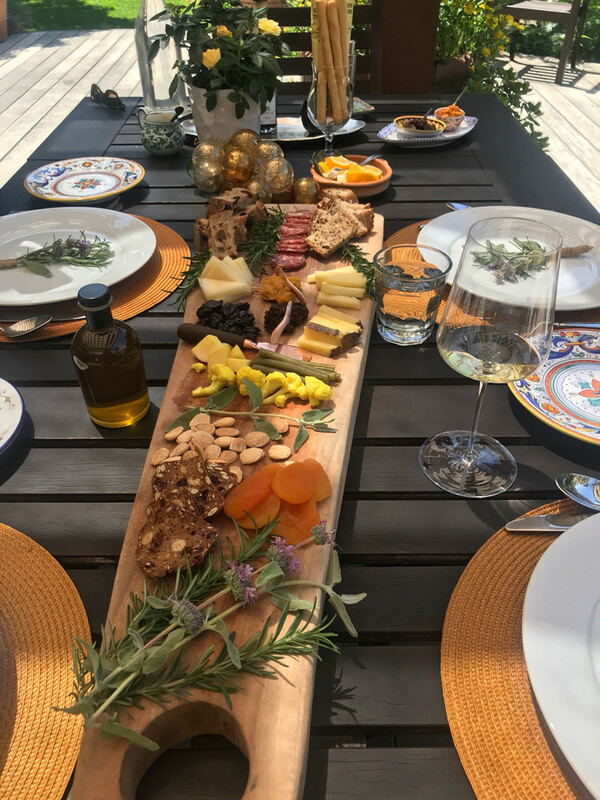 The spectacular lunch spread from our visit to Pence Vineyards & Winery dining with Blair and Dianne Pence. What a treat, so delicious, fun and beyond memorable. 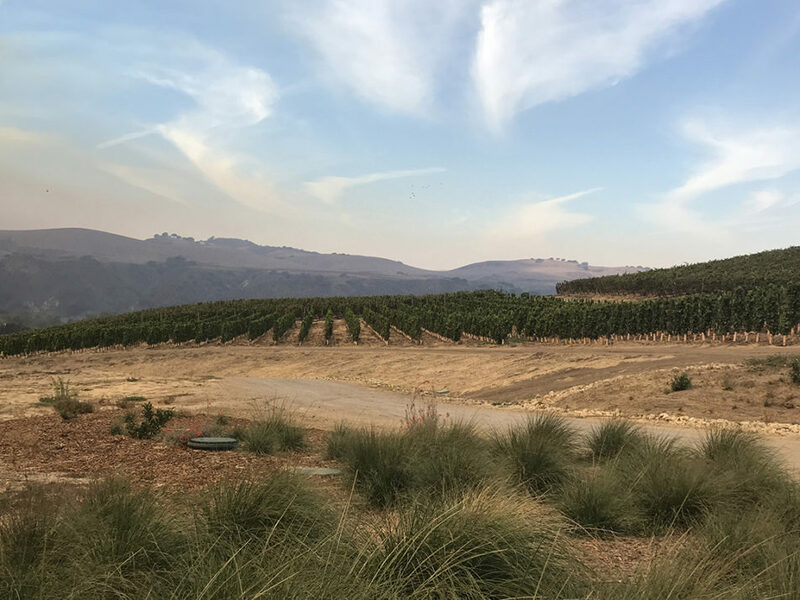 The spectacular views from Melville Winery of their vineyards. 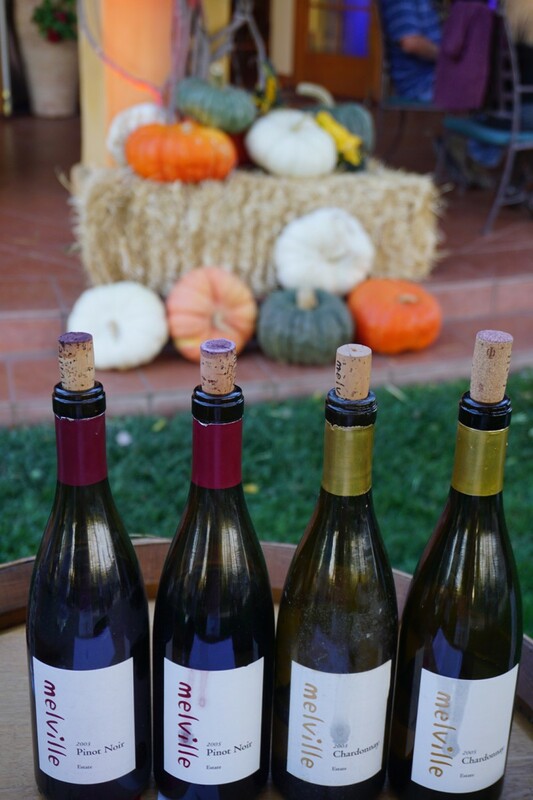 The line up of library wines I enjoyed at their Fall Harvest BBQ. I love getting to try both old and new wines to see how the vintages compare and see how the wines age. 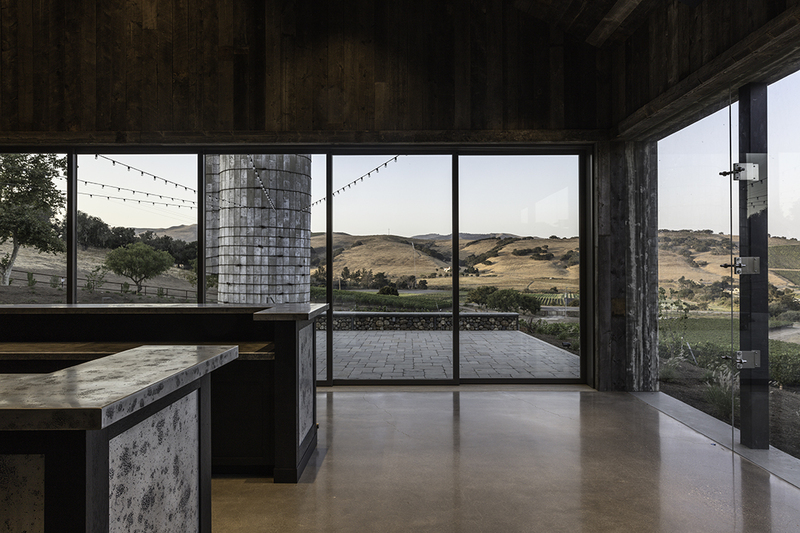 Views as we arrived to the family home (on top of the hill) which overlooks the vineyard and the cool historic barn. 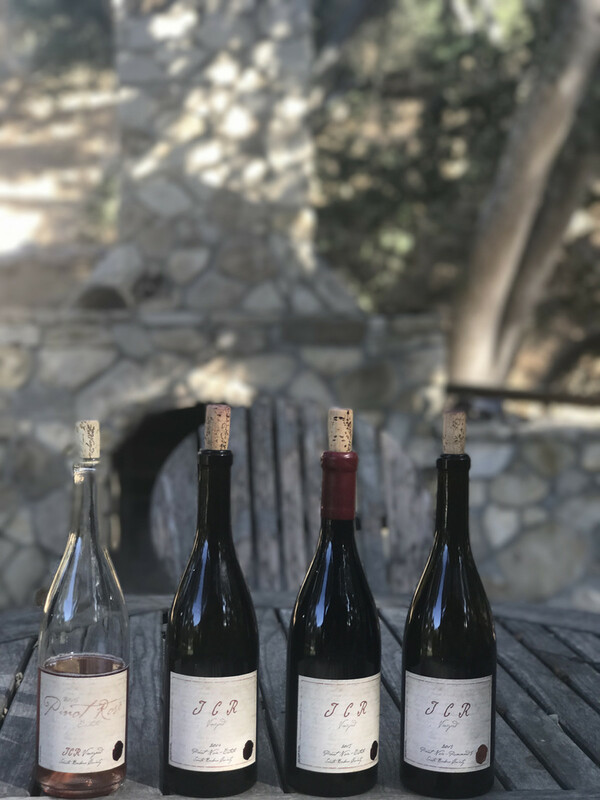 Our line-up of wines to taste with the Strange Family, their fabulous publicist Lacey Fussel, and Winemaker Steve Clifton. Pretty hard to beat this back drop. 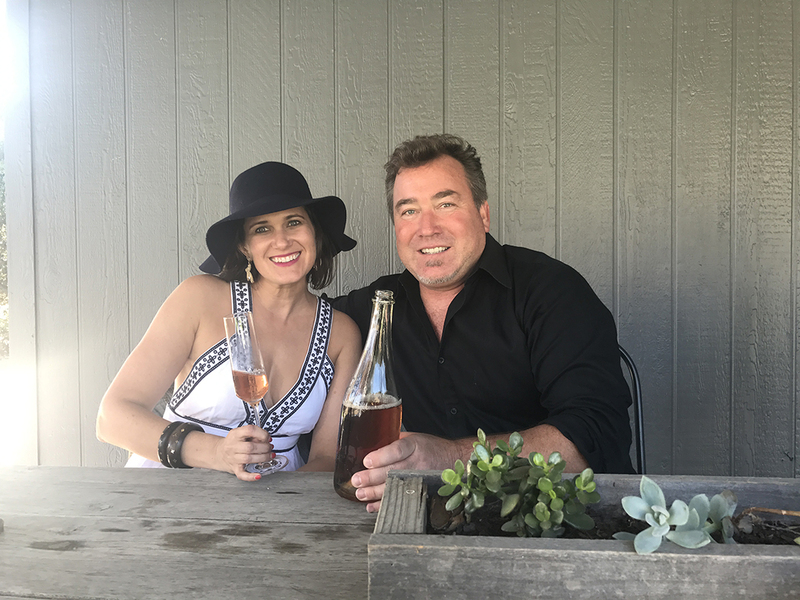 Me and Strange Family Vineyards Winemaker Steve Clifton; if he looks familiar, it’s because he’s also the winemaker at Palmina Wines and La Voix Wines (to name a few). 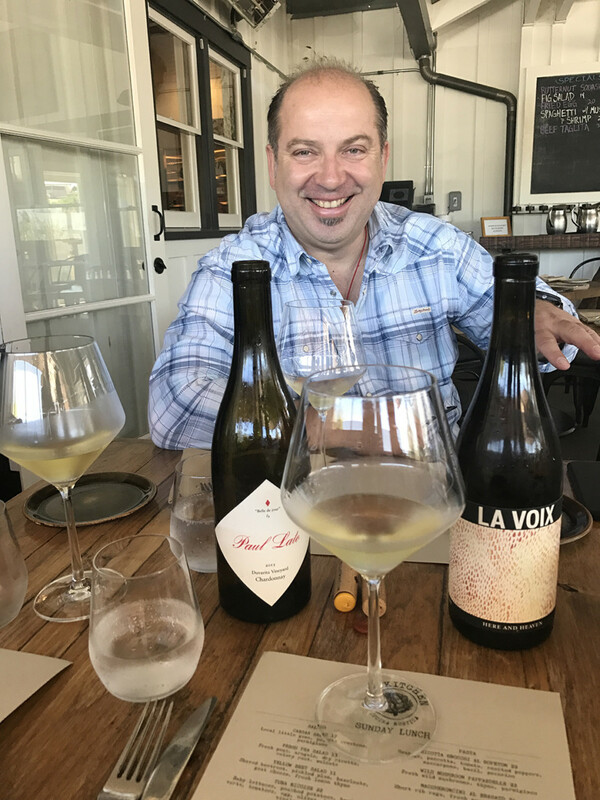 Yes, he’s an extremely successful, busy guy – also one of the nicest, most approachable winemakers in the region. The incredible line up of amazing eats the Strange Family shared with us. 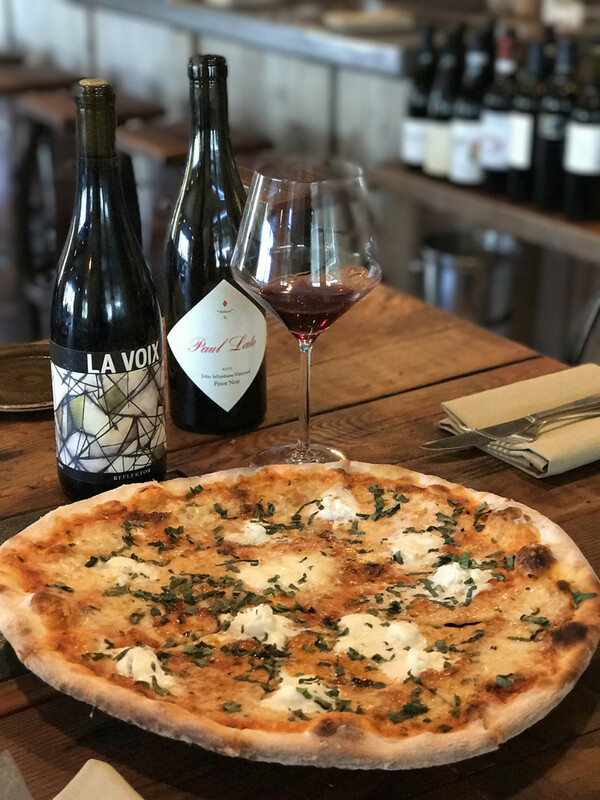 Pizza pairs back perfectly with wines and this pizza was from Industrial Eats (one of the best restaurants in Buellton), so I was a happy girl! Steve talking us through the wines as we nibbled on snacks and enjoyed the vineyard views. 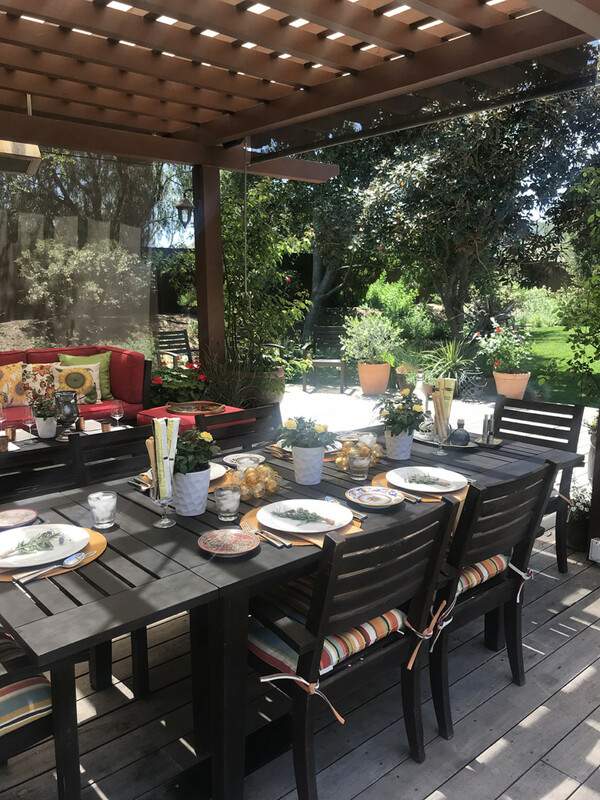 Another new project in Sta. 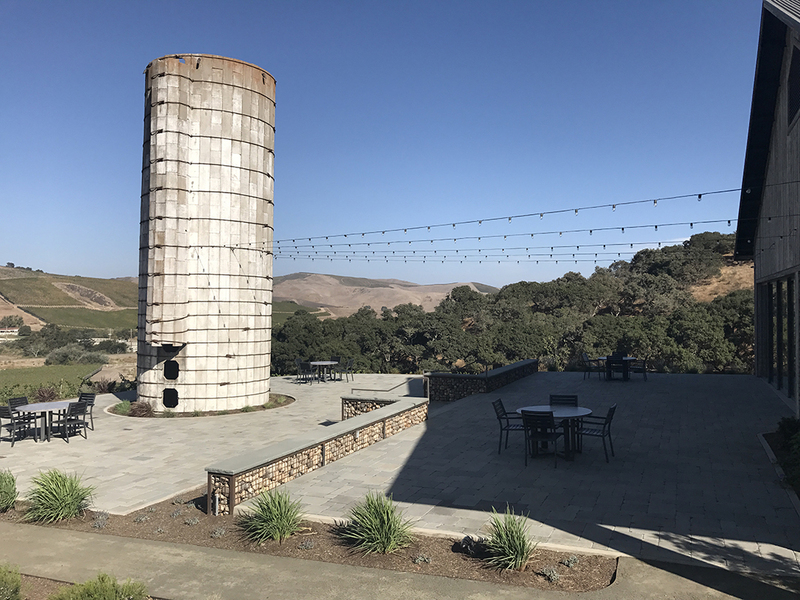 Rita Hills is Spear Vineyards & Winery, which is also a family owned winery, a detail that is always nice to hear. When they opened they took the historic barn (shown below) and renovated it so it has the old charming historic feel on the outside, but inside it’s brand new and beyond beautiful. 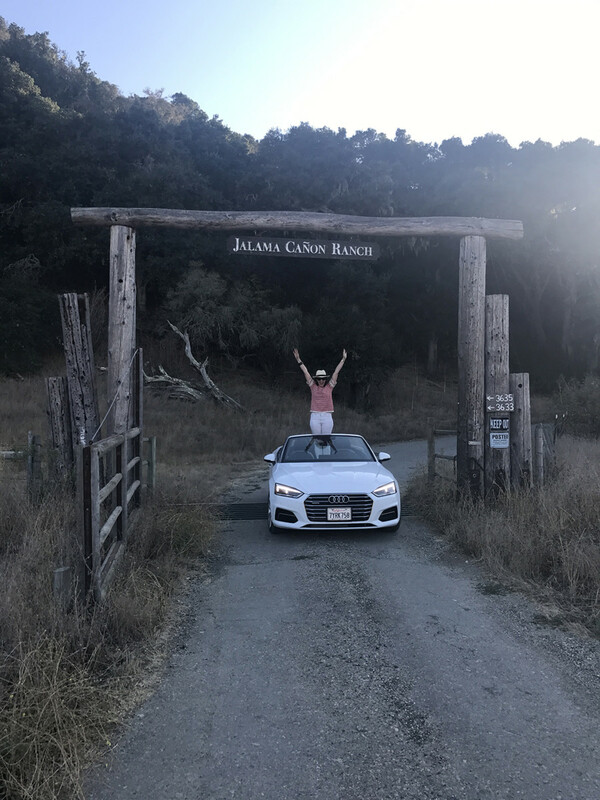 During my visit I toured the vineyards with Winemaker Kat and had a fabulous time getting to see their spectacular property, tasting the wines, and learning more about the history. 6700 CA-246, Lompoc, CA 93436. 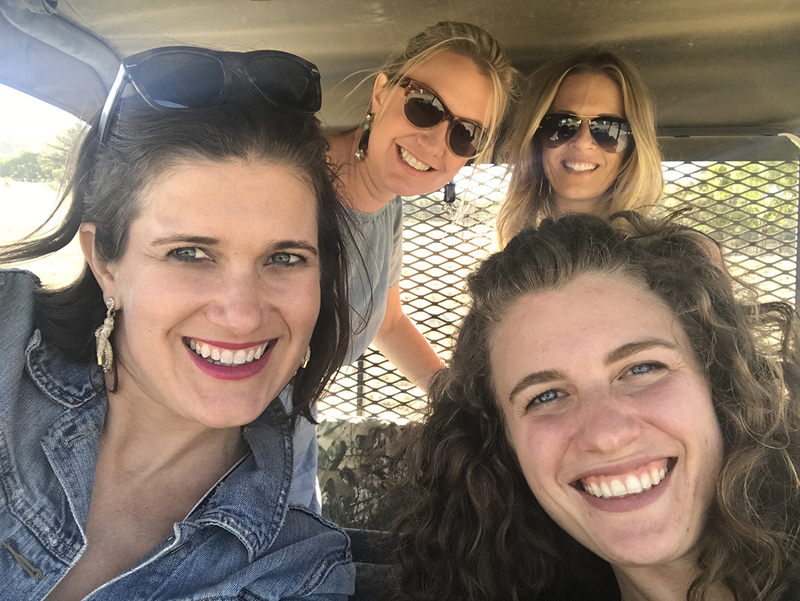 The ladies heading out on an ATV ride of the vineyards. 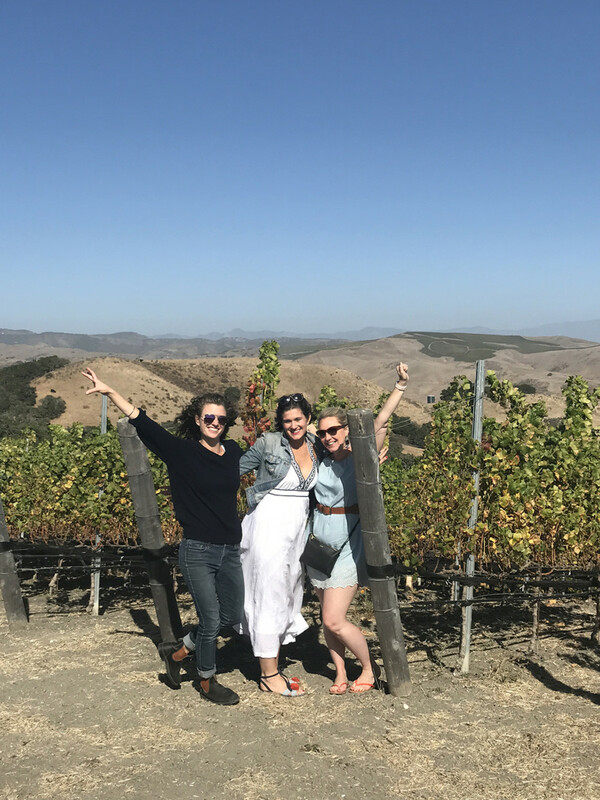 Front row is me and Winemaker Kat, and my pal Kelsey and Lacey (their publicist extraordinaire) in the back row. 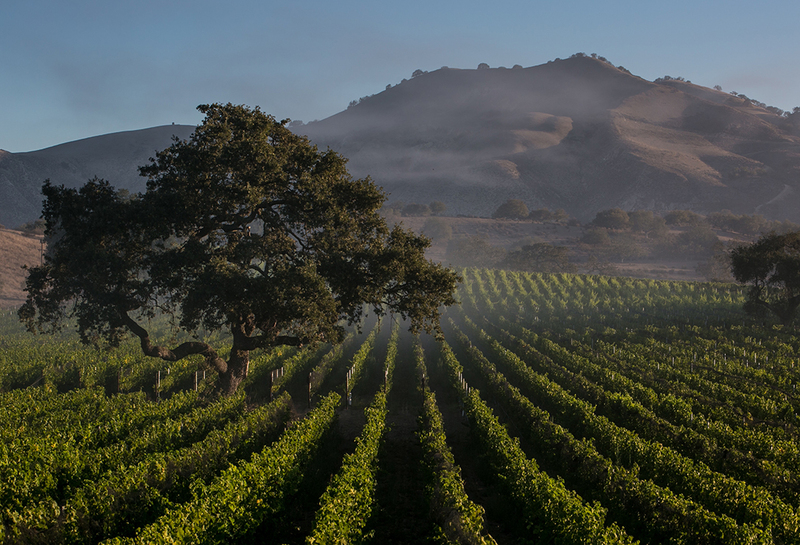 The incredible rolling hills of this vineyard. When we got to the top we felt the extreme wind which is what this region is known for. The harsh winds within the Sta. 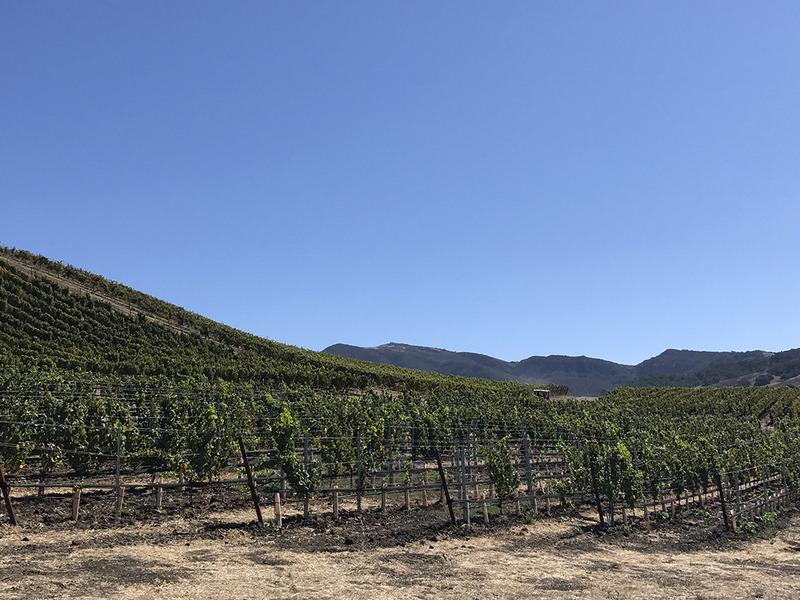 Rita Hills region are part of what makes their Pinot Noir wines so incredible and the skins to durable and strong because they have to withstand the wind as they grow. 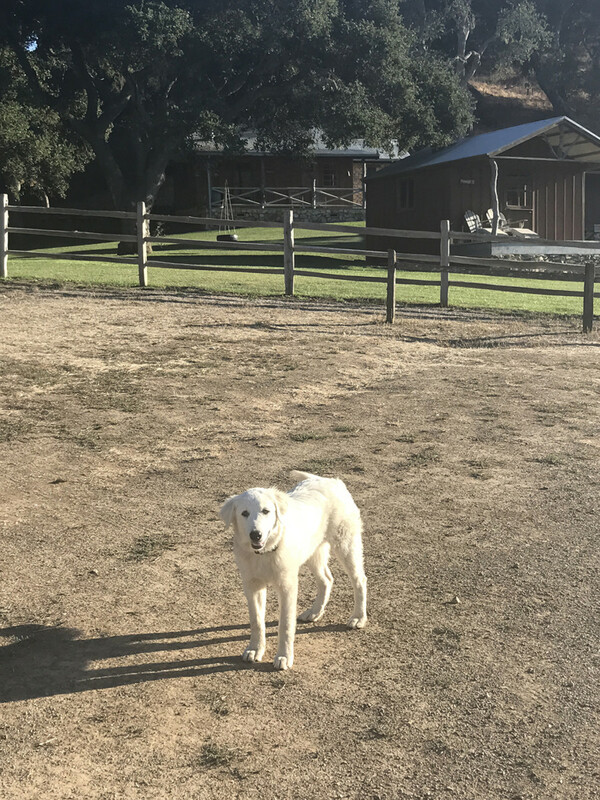 Hanging in the vineyard with Winemaker Kat, and Lacey. 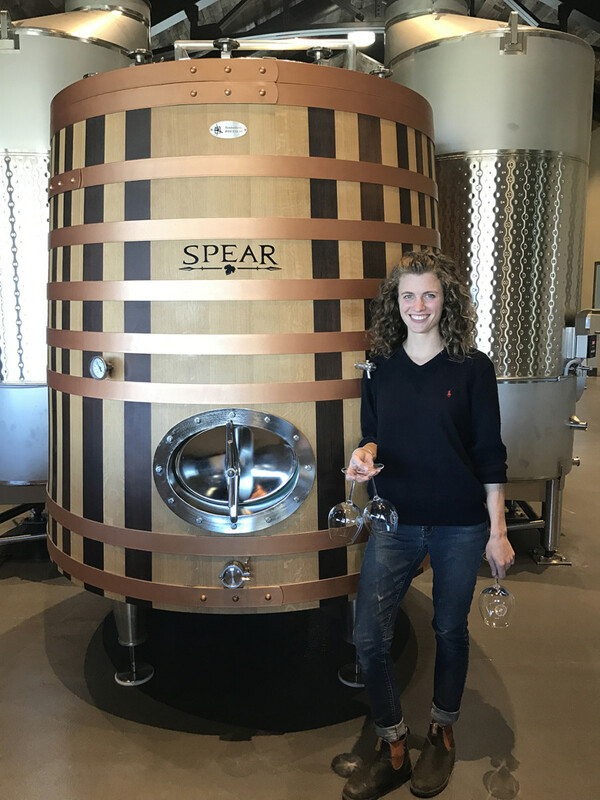 Touring the beyond gorgeous and spotless brand new winery with Winemaker Kat (who’s a total rock star by the way). 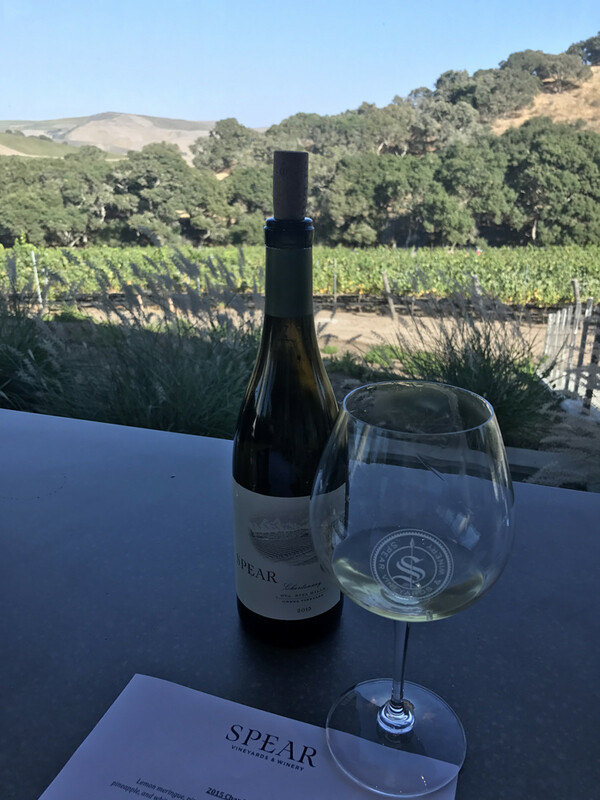 Views of the new Spear Tasting Room – it was still under construction when I visited but you can get an idea for how beautiful it is with stunning views and tons of bright light. 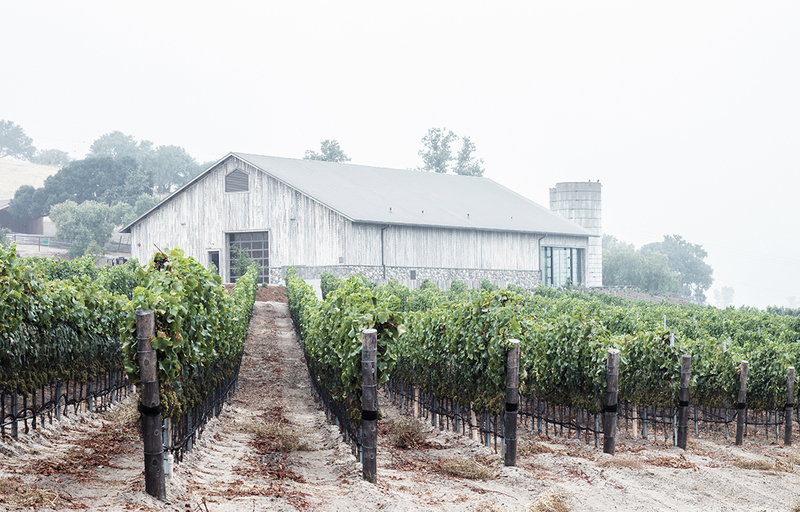 This is another Winery which is not yet open to the public, but shouldn’t be missed when they do open! 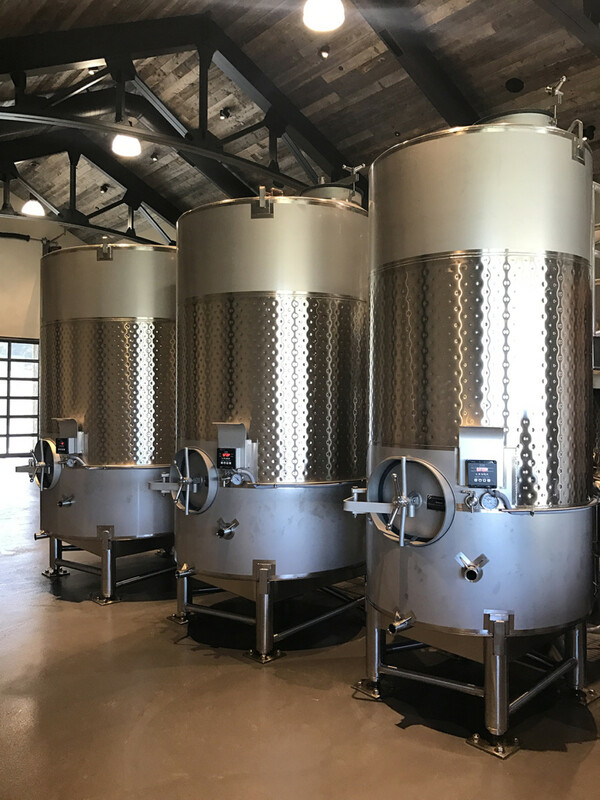 Peake Ranch Winery is a project from John Wagner, who also owns John Sebastiano Vineyards, a newer vineyard on the eastern side of Sta. Rita Hills. 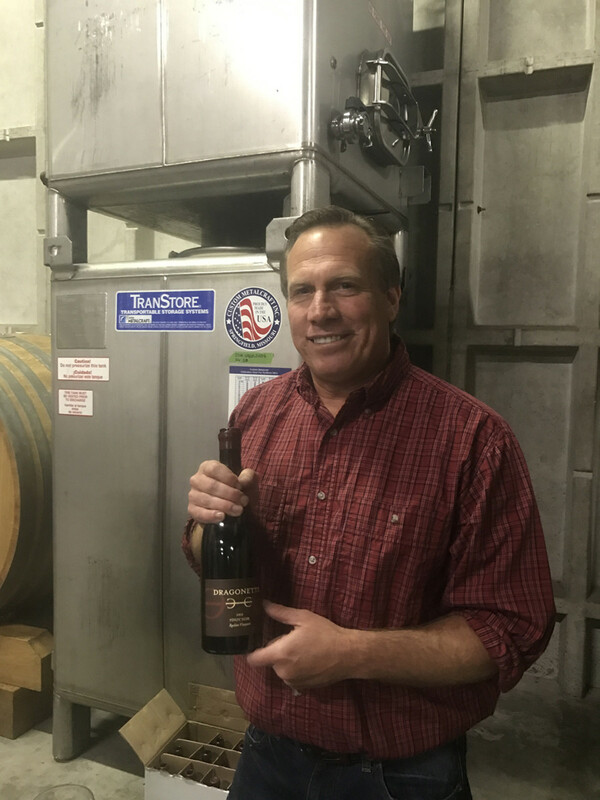 The winemaker for Peake Ranch is Paul Lato and, after numerous visits to the region, I have gotten to know him and done many tastings with him. 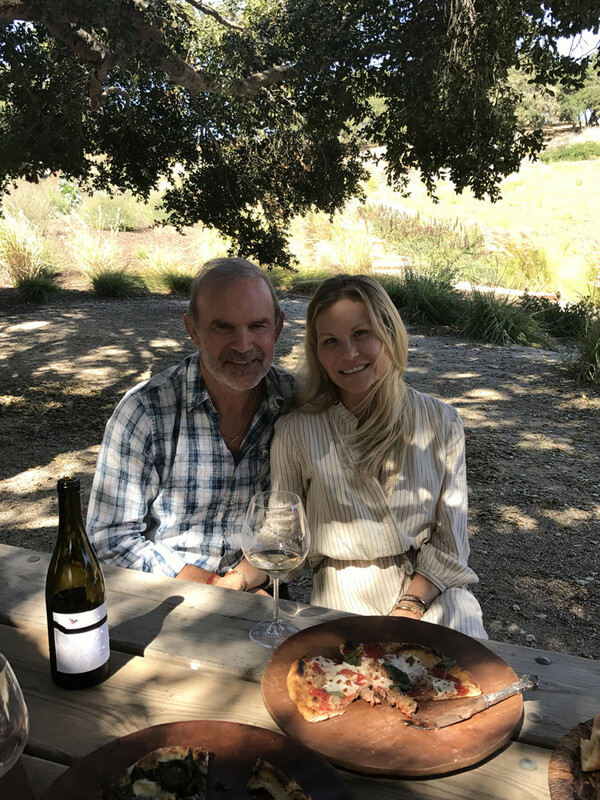 He’s incredible and makes some of the most elegant, beautiful wines in Santa Barbara. 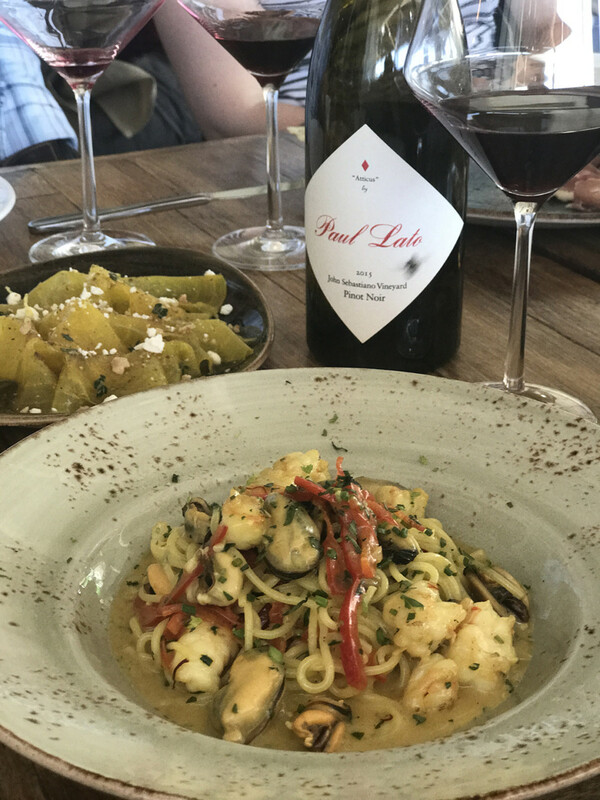 Combining his winemaking with the incredible John Sebastiano grapes makes for perfection! 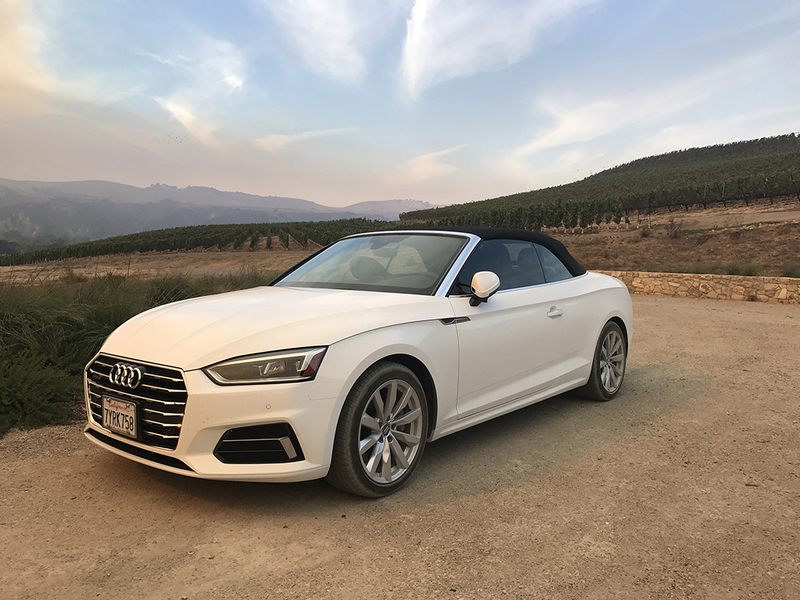 Arriving to Peake Ranch in style with this fabulous Audi on Demand A5 Convertible. We had the top down and, after seeing the dusty road, unfortunately had to take it up. 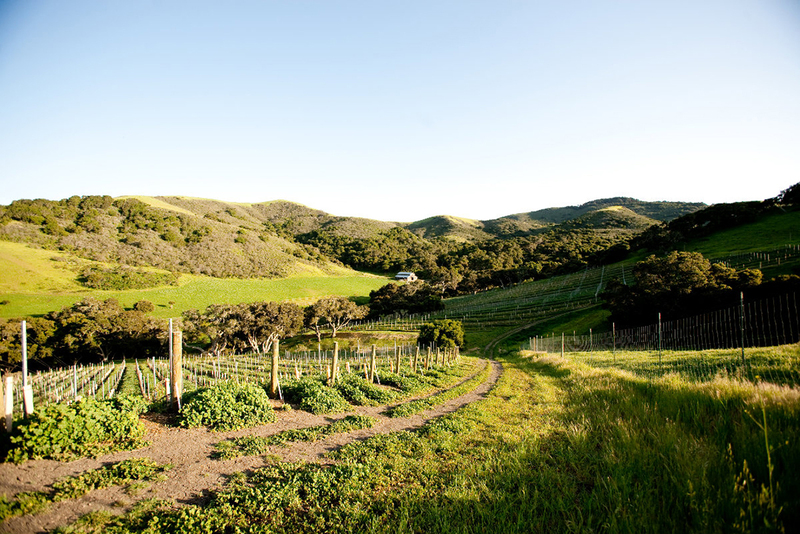 Regardless, it’s so much fun to drive around this beautiful region of Santa Barbara’s Wine Country. 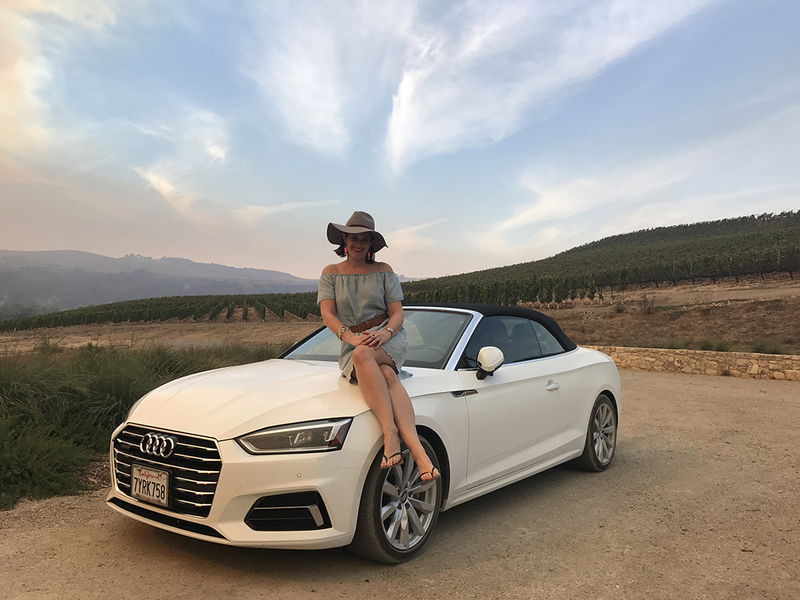 Read more about Audi on Demand and see how to save 20% as a new user here. 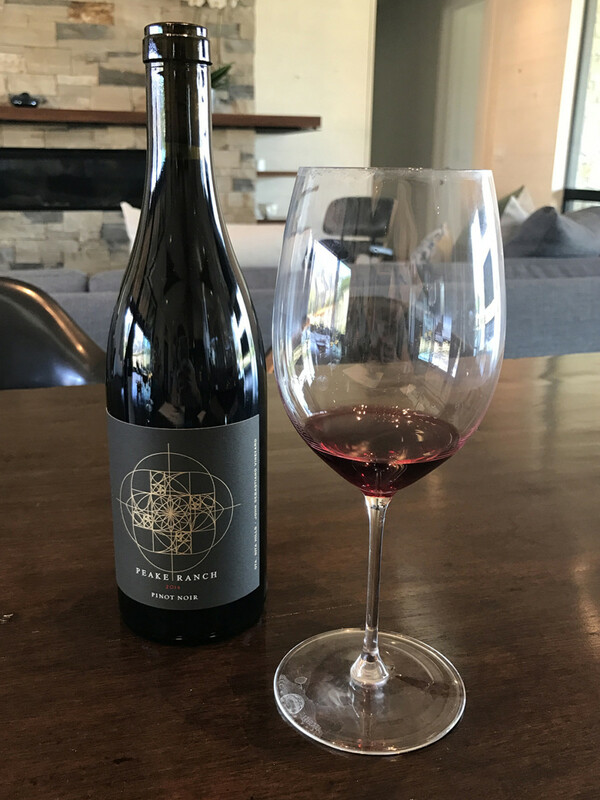 Tasting through the 2014 Peake Ranch Pinot Noir Wines. 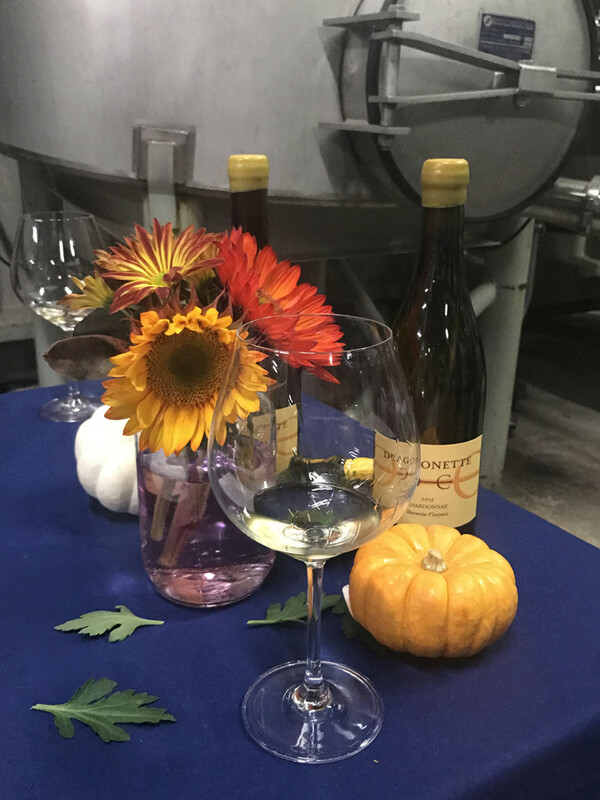 Cheers to the delicious Peake Ranch Chardonnay. 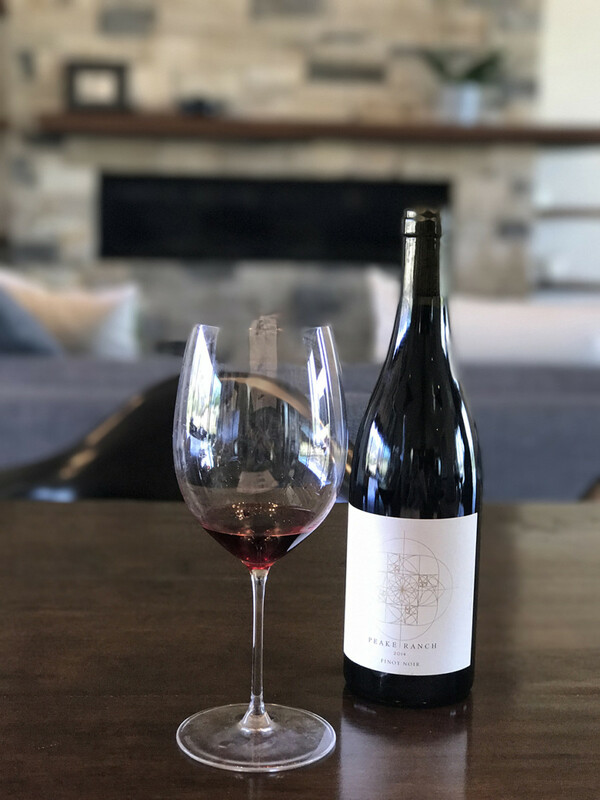 As I got to know the winemaker for Peake Ranch and Paul Lato Wines, Paul Lato, I realized how talented he is and that he makes some of the most spectacular wines in the region. 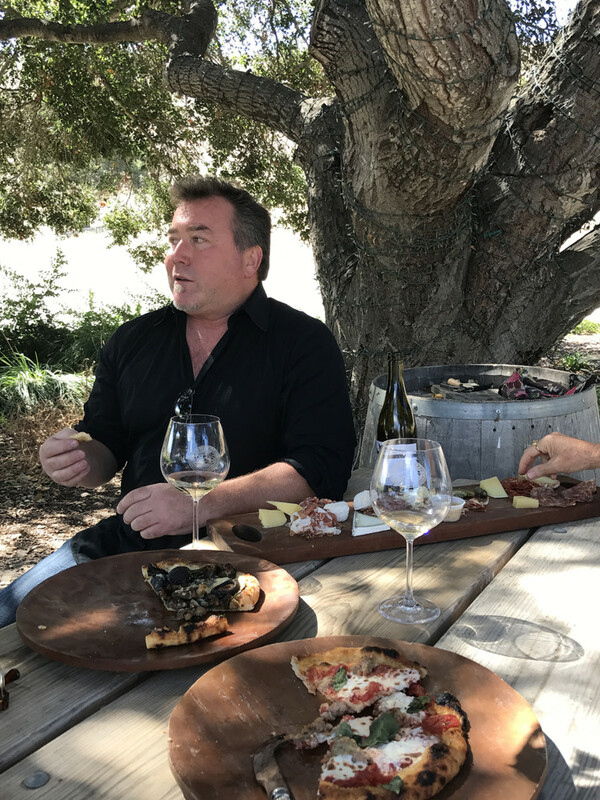 I had the privilege of joining him and Steve Palmina for lunch at SY Kitchen (another favorite of mine in Santa Ynez), and we shared delicious wine, pizza, and an afternoon of fun. 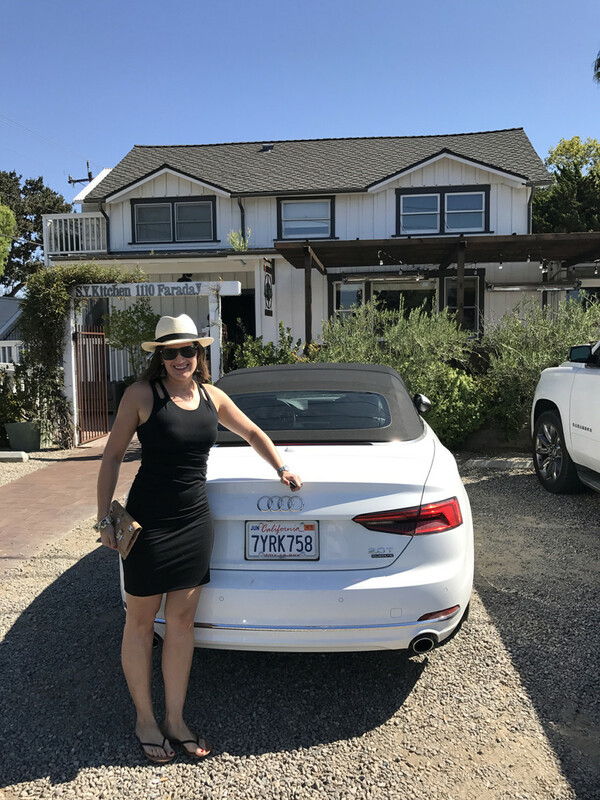 Arriving to an afternoon lunch at my favorite restaurant in Santa Ynez, S.Y. Kitchen (read more about S.Y Kitchen here) with the fabulous Audi on Demand A5. So excited for lunch with Winemakers Steve Clifton and Paul Lato. See more of the fun below! A huge thanks to this guy, Steve Clifton, for organizing this lunch. 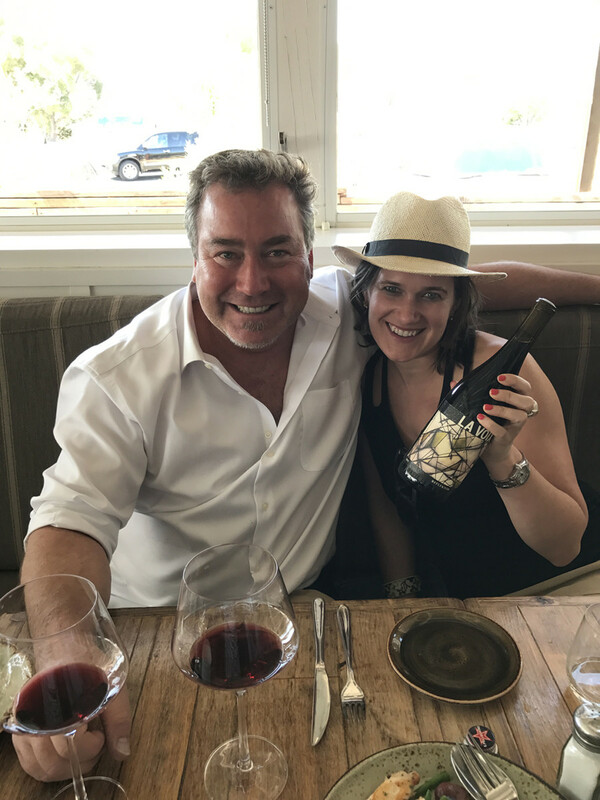 I am a huge fan of his La Voix and Palmina Wines, and now Strange Family Vineyards, too, and he was so great to invite Paul Lato to join us for an afternoon of delicious wine, amazing food, and great company. 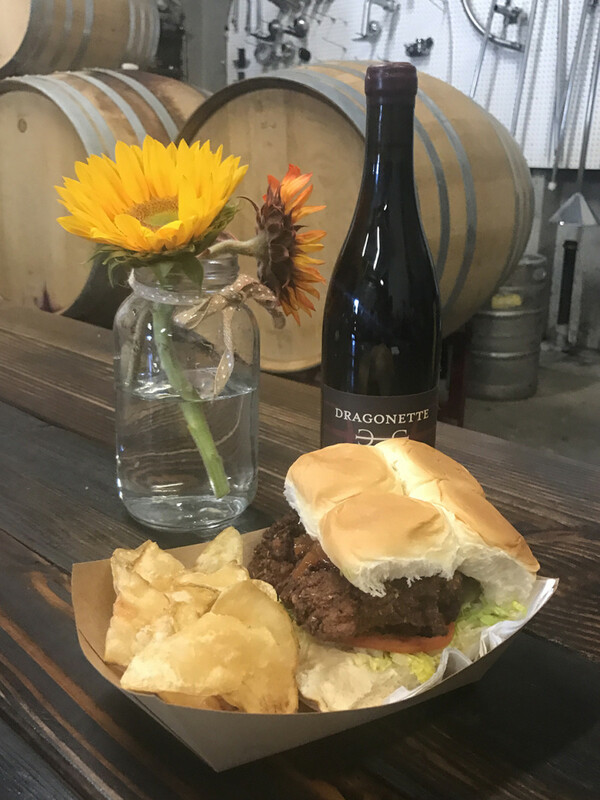 Dragonette Cellars is producing some of the loveliest, most flavorful, beautiful wines in the region. 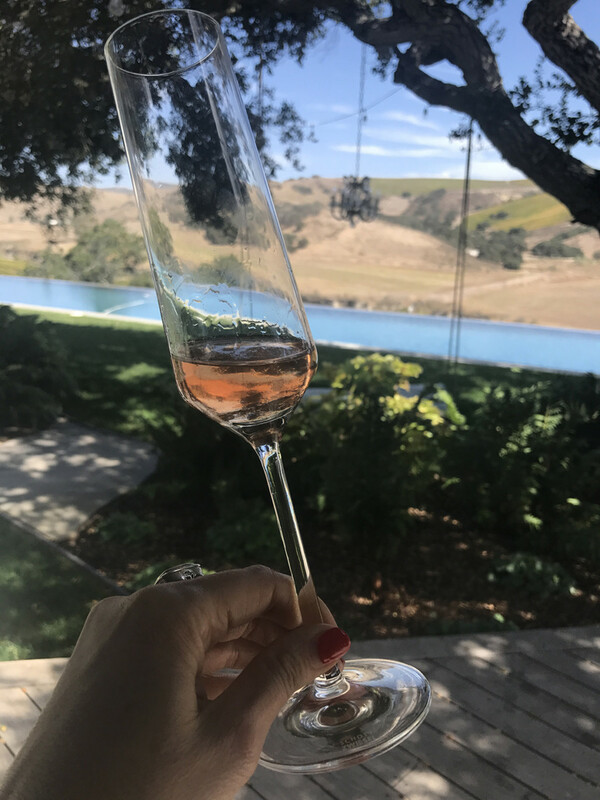 I adore them so much that I was a wine club member for a year or so (I try not to join as a cardinal rule as there are so many wineries I love that I have a hard time saying no). 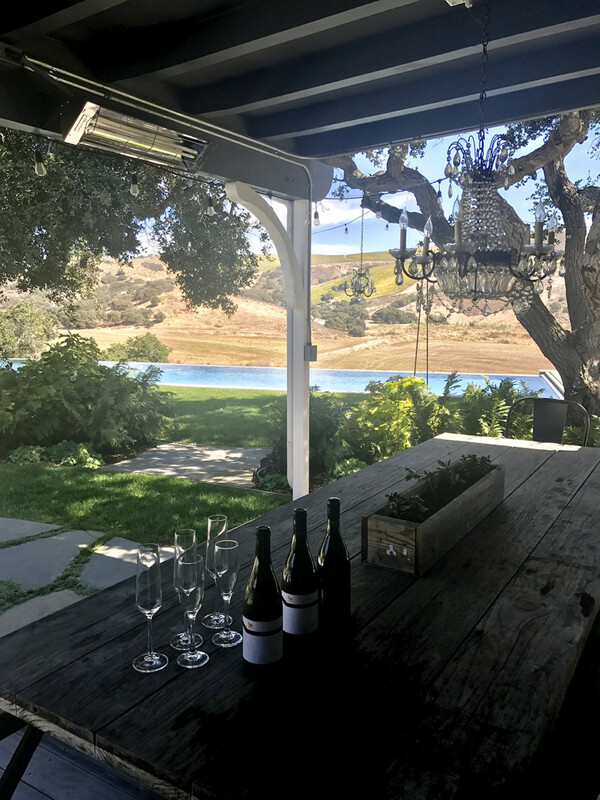 “Brothers John and Steve Dragonette and close friend Brandon Sparks-Gillis founded Dragonette Cellars in 2005 after having worked together at a renowned wine shop in Los Angeles. 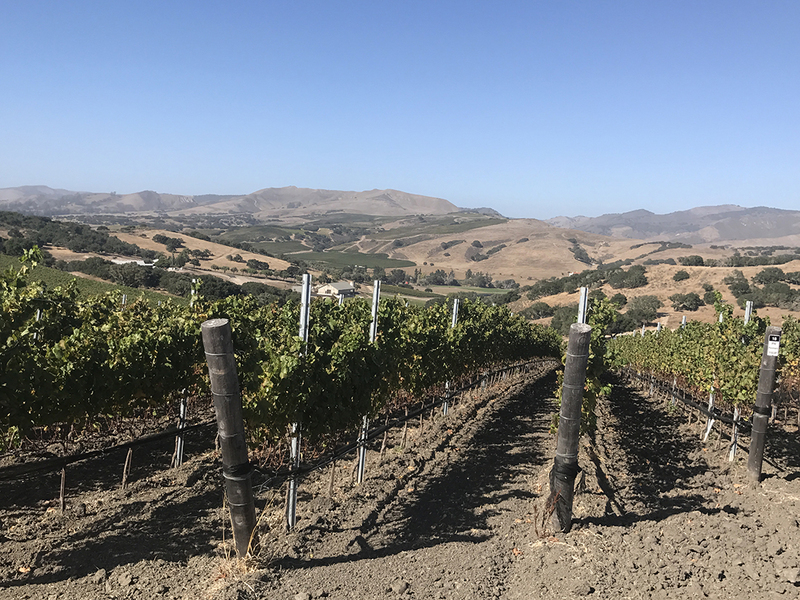 Their shared passion for great wine brought them to wild, windy and remote northern Santa Barbara County where they spent the next several years seeking out extraordinary, cool-climate vineyards and dedicating themselves to careful, patient, minimalist winemaking. 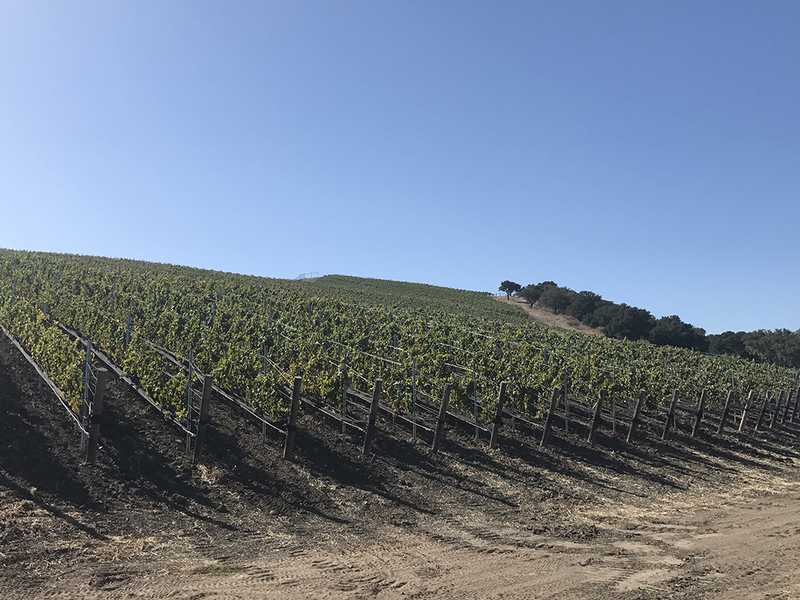 They have committed themselves, to the mindful farming of precise blocks in exceptional vineyards for low yields and high quality. 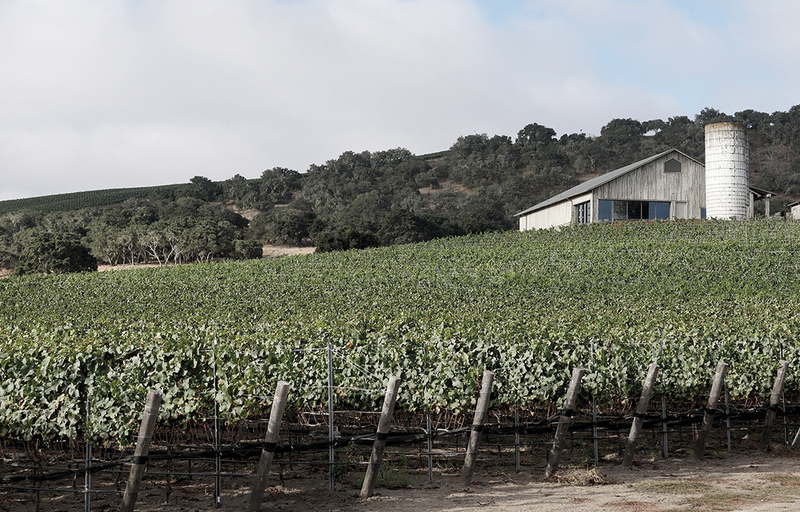 Dragonette Cellars produces small lots of Pinot Noir, Sauvignon Blanc and Syrah of interest and distinction. 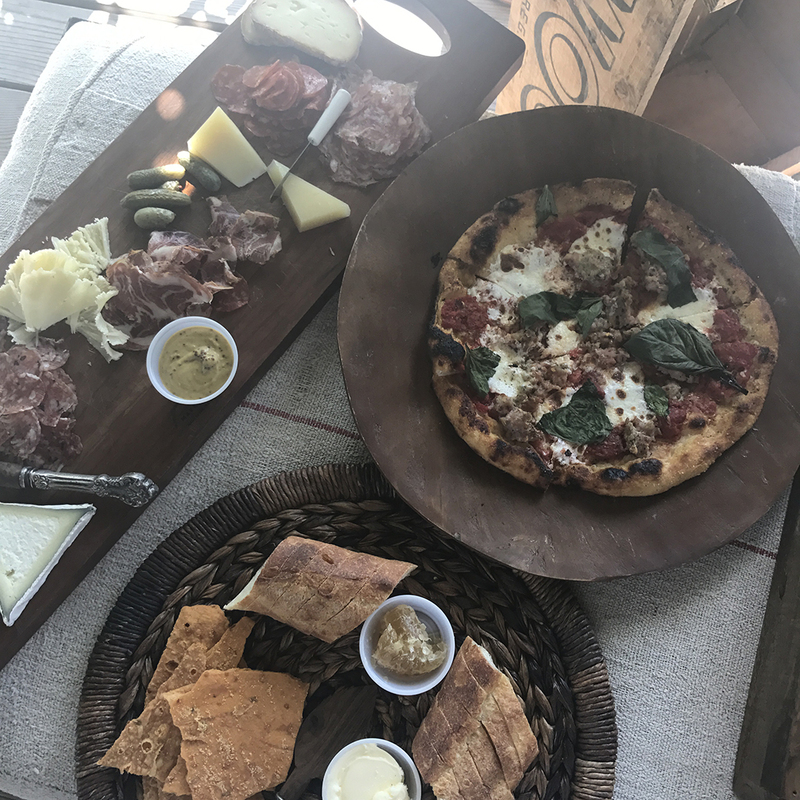 ” Visit them at their Los Olivos Tasting Room found on my Top 10 Los Olivos Tasting Room post here. 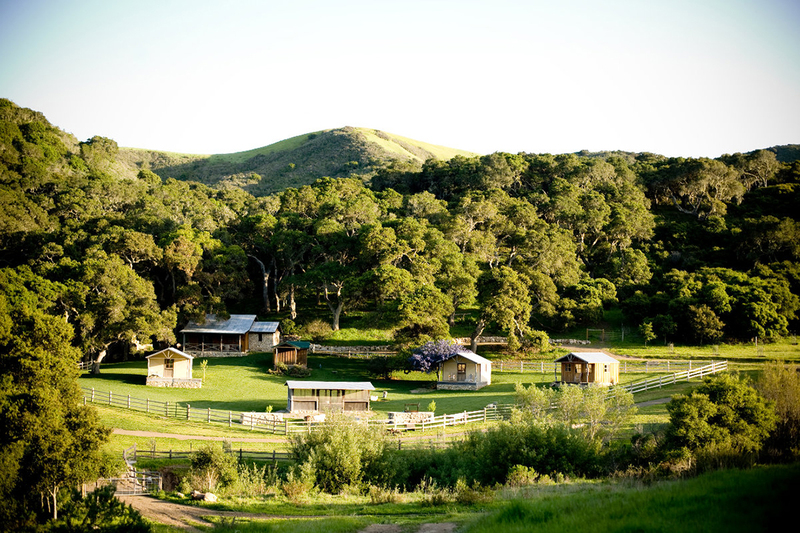 The guest houses located at JCR Vineyards. 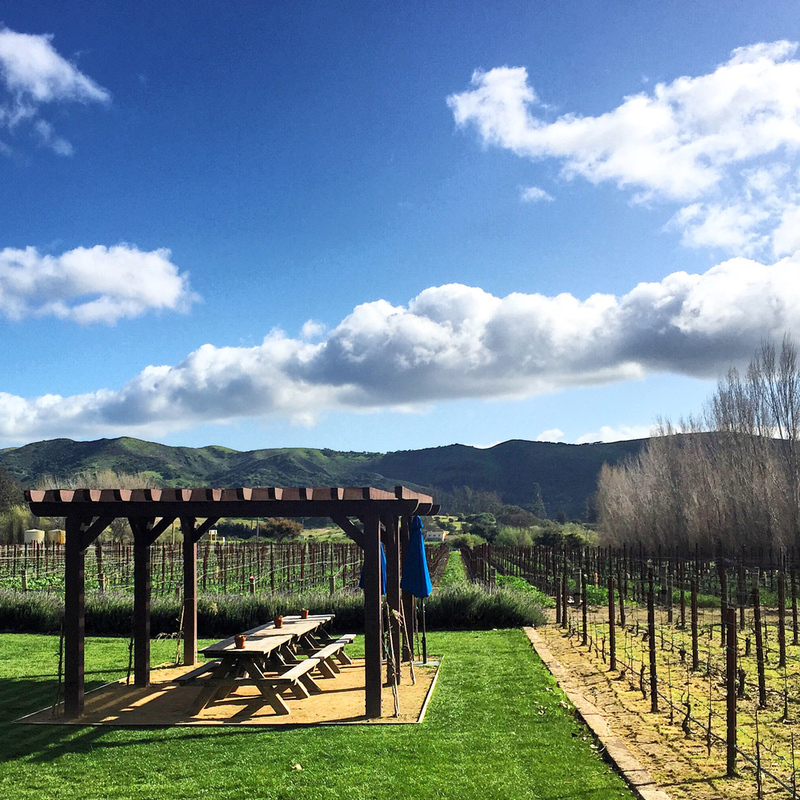 This setting is so picturesque as you look over the vineyards. 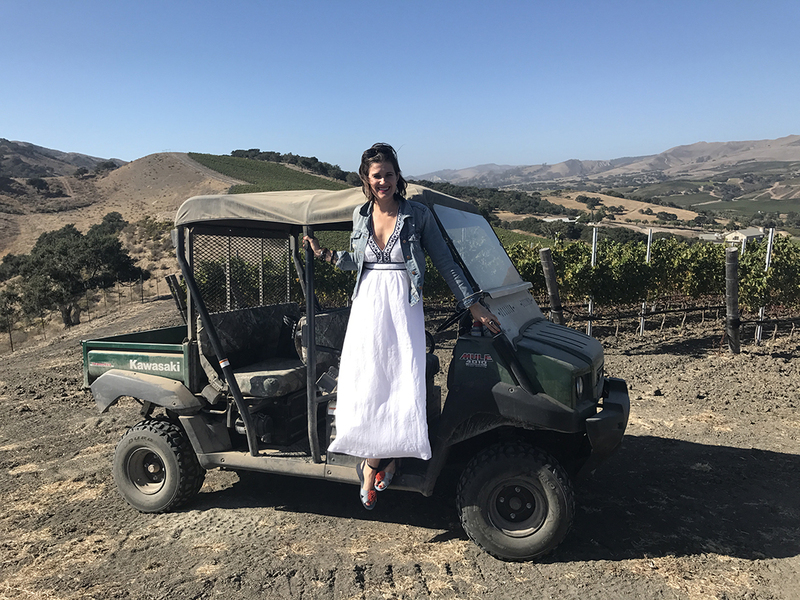 Cheers to the amazing ATV ride and my fabulous visit to JCR Vineyards. Thank you for having me! One of the adorable winery puppies I fell in love with during the visit! He was so cute that I wanted to take him home with me. 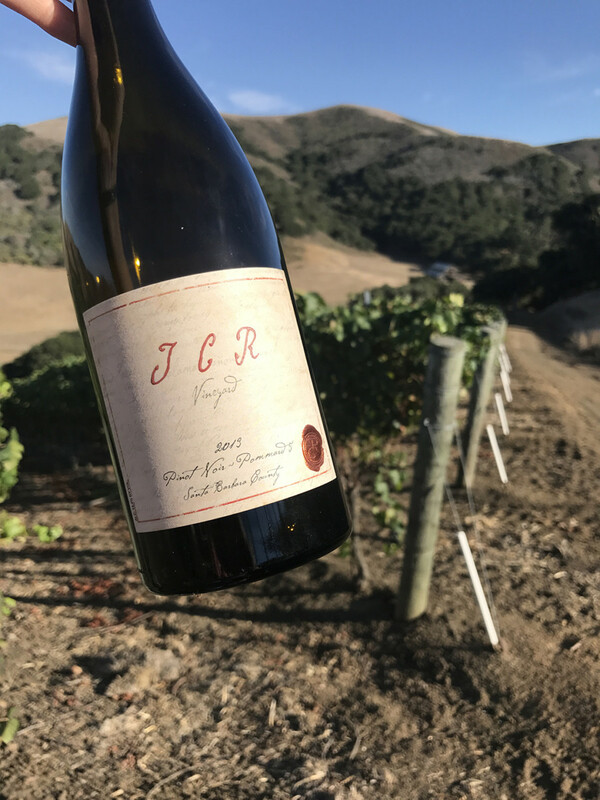 Instead, I’ll have a reason to return to JCR Vineyards, besides, of course, the fabulous wine!